The third Swiss Theme Week is set to the dates 15th to 21st October this year, to open in the Sino-Swiss Zhenjiang Ecological Industrial Park (SSZEIP) in Zhenjiang, Jiangsu, with the year theme “Swiss Boutique Exhibition”. The SSZEIP has positioned itself as the gateway to China for high-quality Swiss products, with tremendous support from bilateral governments and partners. The dedicated cross-border e-commerce platform, BYREALS, along with offline experience stores, has successfully helped over 1000 different kinds of characteristic Swiss products to expand the Chinese market. We now warmly extend invitations to all business participants and artists interested. Well-equipped exhibition space with free-of-charge show booths for products and artworks will be provided. For business participants and artists, it’s a unique opportunity to present your products and works to a wide audience. The Development Zone Administrative Committee has also invited contemporary Chinese young artists with outstanding artworks, in an effort to facilitate mutual artistic understanding between the two countries. 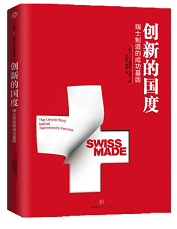 Chinese and Swiss government officials, product agents, distributors, retailers, representatives of SOEs, experts in cross-border business, customers, professors, researching professionals, etc. Full programme is now available here. Official invitations will be issued upon confirmation of registration.